The UC Davis mail team overflows with holiday spirit! 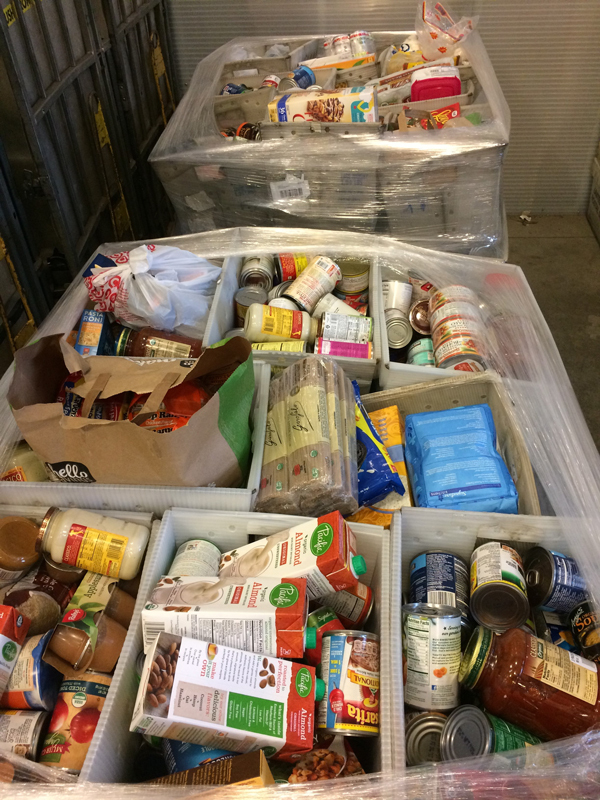 First Mail Services conducted its annual Holiday Food Drive, which finished up last week. Now they’re partnering with the Marine Corps League on its Toys for Tots drive for Yolo County children. • Mercer Clinic Holiday Pet Baskets — Volunteer staff and retirees from the Veterinary Medical Teaching Hospital are seeking monetary contributions to provide food and other supplies as well as winter coats and sweaters for homeless people’s pets. The distribution is scheduled for Dec. 10 at the Mercer Clinic for the Pets of the Homeless, run by UC Davis veterinary students with supervision by faculty and others who volunteer their time. The nonprofit clinic is open one day a month near Sacramento Loaves & Fishes. Watch Mercer Clinic videos, including Happy Holidays at the Mercer Clinic. Puppies like this one need your help this holiday season. The pet basket program is in its 21st year, while the coats and sweaters are a recent addition. “The smaller, very young and elderly dogs and cats especially need sweaters and coats to protect them against nighttime temperatures,” said Eileen Samitz, a retiree who coordinates the holiday program. “Many of these animals would not survive the winter without them.” Such losses can be devastating, especially for homeless people who have only dogs and cats for family. The volunteers hoping to collect enough money for 350 sweaters and 250 coats. The need is large, Samitz said, because the program depleted its supply during last year’s long winter. Money is also needed for the baskets, 130 in all, to be filled with food, treats, toys and brushes (90 boxes for dogs and 40 for cats). Donations can be made online, or by mail to Mercer Clinic Holiday Pet Baskets; University of California, Davis; 1460 Drew Ave., Suite 100; Davis 95618 (make checks payable to “Mercer Clinic Holiday Pet Baskets”). All donations are tax-deductible. For more information about how to help the Mercer Clinic Holiday Pet Baskets Program, contact coordinator Eileen Samitz by email or phone, 530-756-5165. In his email report to the Department of Physics, Knox thanked everyone “who supported us with donations, with sponsorships for students, by registering for the run (and) with recruiting." "We can all be very proud of our department for its accomplishments on many fronts, including this expression of support for many in our county who will benefit from this assistance," Knox said. 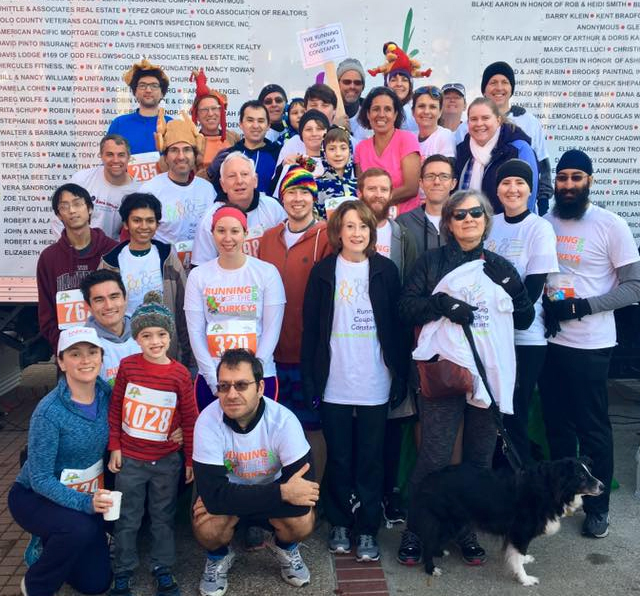 Physics professor Lloyd Knox is organizing a campus team for the Yolo Food Bank’s Thanksgiving Day fundraiser for the fifth consecutive year — and this year’s team has a new name: The Running Coupling Constants. But, he said, you don’t have to be affiliated with the physics department or know the meaning of “running coupling constants” to run with this team — or to donate! He’s set a team fundraising goal of $4,400, and notes that all registration fees and donations will be matched until the goal is met. The match will come from Knox and his physics faculty colleagues Richard Scalettar and David Wittman. Contact Knox by email with questions, or if you’re interested in starting your own team.